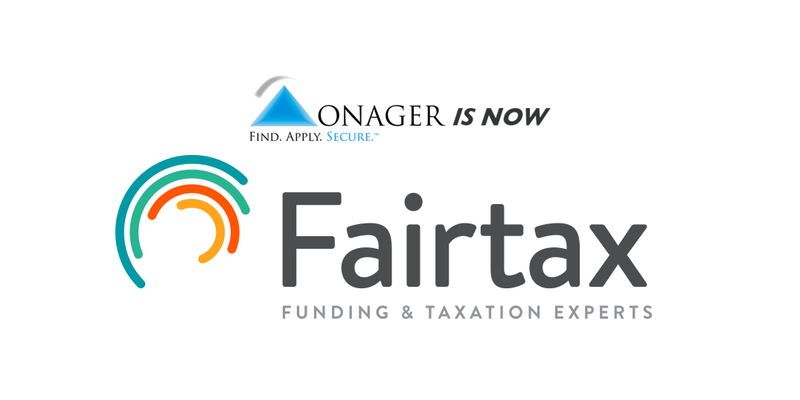 Fairtax acquires Onager Solutions to form the largest Canadian firm focused on securing Government Grants and Incentives. Toronto, Ontario – As a result of recent negotiations, Fairtax Recovery Consultants Ltd., Canada’s leader in tax recovery, is excited to announce the acquisition of Onager Solutions Inc., a professional services firm that specializes in Government Grants and Incentives. Mike Janke, President of Onager Solutions, founded the company in 2010 and has grown the firm into an award winning industry leader in identifying and securing Government Funding. Onager Solutions, will be fully integrated into the Fairtax Grants & Incentives division which dramatically expands the existing capabilities of Fairtax. The “Fairtax Funding Strategy” provides a unique integrated approach to optimize clients’ government funding opportunities, tax incentive programs, and SR&ED funding. The firm will leverage existing expertise spanning every industry and jurisdiction across Canada to provide a comprehensive approach that encompasses all aspects of identification, application, and post-approval compliance. According to the FundingIndex, more than $14.4 billion in government funding was issued last year and rising numbers of government funding programs are being offered to businesses in 2015. Accessing these programs has historically been a challenge for businesses, as programs are not readily accessible in a consolidated location and are constantly in a state of flux. Funds are continuously introduced, renewed, depleted or discontinued. The FEI cferf research study on, “The Funding of Innovation in Canada” revealed that fewer than 38% of companies surveyed have taken advantage of these programs, due to these issues and the complex eligibility criteria. The Fairtax team of government funding experts help clients navigate these complexities and deliver substantial financial benefits through a comprehensive and strategic approach. “I am proud of the entire team of professionals we have assembled over the years and I am enjoying this celebration with our new teammates!” exclaimed Dan Civiero, CEO of Fairtax, at a recent party that marked the official integration of Onager into the Fairtax Grants & Incentives team. Fairtax is a Canadian owned and operated company that leads the industry in Canadian sales tax recovery and obtaining government grants and incentives for its clients. FairTax is part of the Braithwaite Global Inventta Group of companies with over 130 employees, and has recovered in excess of $1 Billion for clients across Canada. Onager Solutions, now Fairtax Grants and Incentives, has visibility into over 4,000 government programs that represent over $4 billion in government funding beyond the SR&ED program. “We are not new to this Industry, FairTax and Onager have successfully secured significant amounts of government funding for clients within a variety of sectors across the country” said Dieter Eisbrenner, President of FairTax. The family of companies already provides leading SR&ED, Sales Tax Recovery and Grant services. The acquisition of Onager provides greater visibility into all available programs and the ability to identify and secure funding for major future expenditures. This creates an opportunity for clients to gain a competitive advantage and overcome challenges while increasing their profitability. The leadership at Fairtax continues to believe it is critical to provide staff who are dedicated strategic professionals that add value to each client interaction. These shared fundamental values are at the core of the culture found at both firms and has fostered valued relationships with clients. Mike Janke will become Vice President of Fairtax leading the Fairtax Grants and Incentives division with all of Onager Solutions’ staff continuing in their existing roles.